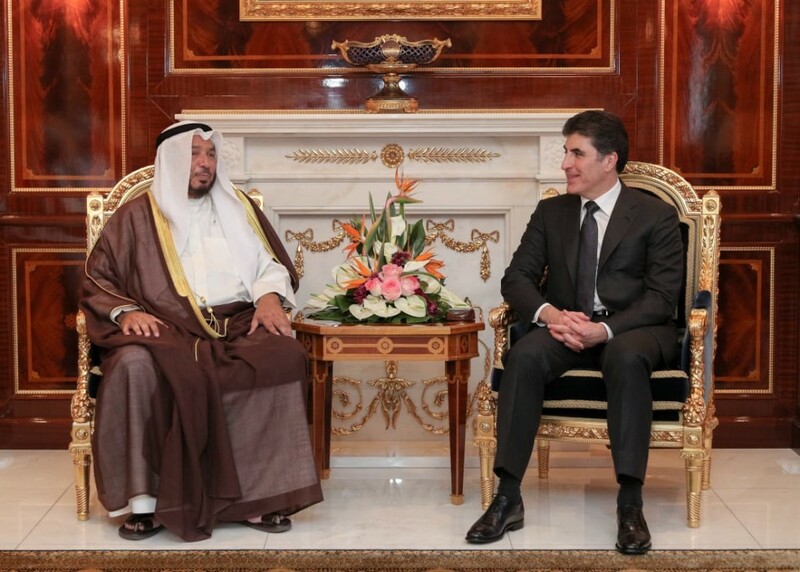 Erbil, Kurdistan Region, Iraq (cabinet.gov.krd) – Prime Minister Nechirvan Barzani received the Chairman of the Board of Directors of the International Islamic Charitable Organization (IICO), Dr. Abdullah Matouq Al-Matouq, and his accompanying delegation. They discussed the situation of internally displaced people and refugees who took refuge in the Kurdistan Region and their needs were highlighted. Increasing assistance to this population by NGOs and international agencies was stressed. Dr. Al-Matouq highlighted his visit to IDP camps and the aid which has been provided in the past by the IICO and the Kuwait government. He said he will convey the needs of the Kurdistan Region to international forums. The humanitarian situation in Mosul and the difficulties charitable organizations face, were also discussed.